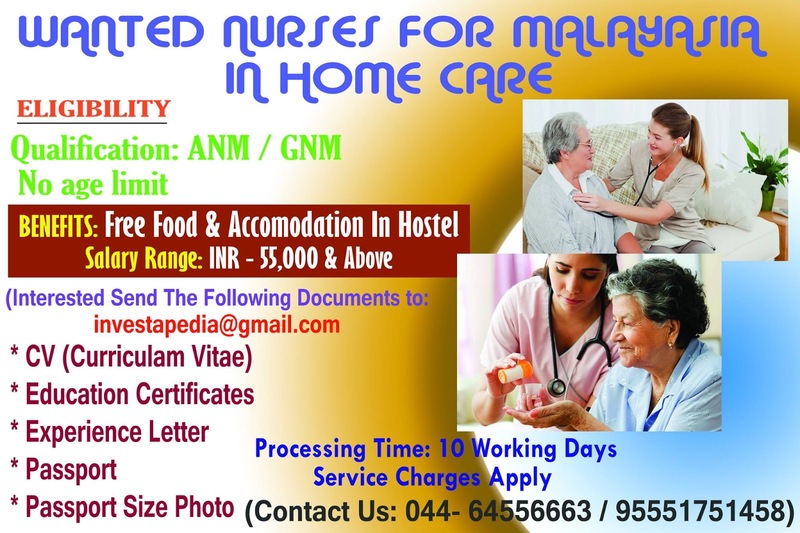 NURSES REQUIRED FOR MALAYSIA IN HOME CARE. 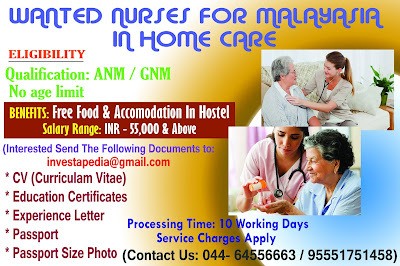 INTERESTED AND ELIGIBLE CANDIDATES CAN APPLY . MORE DETAILS GIVEN BELOW.